Update: Shortly after we posted this and the news hit the internet Verizon posted the following press release, announcing that customer feedback had led to a change in plans. “At Verizon, we take great care to listen to our customers. Based on their input, we believe the best path forward is to encourage customers to take advantage of the best and most efficient options, eliminating the need to institute the fee at this time,” said Dan Mead, president and chief executive officer of Verizon Wireless in a statement. In an age when convenience is key and online payments dominate Verizon has decided to cash in and add an extra $2 per month fee to users who pay their monthly bills online or by telephone. The fee is applicable to any users opting to make a single one time payment via the company's website or when talking with a Verizon rep, but will be waived if a customer enrolls in automatic bill pay or uses an electronic check. The reports come via Droid Life and have not been confirmed via Verizon or any other sources at this time. 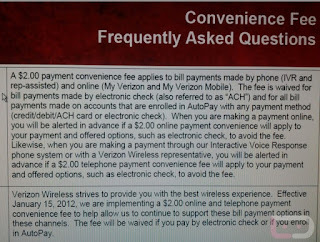 According to the report Verizon is claiming that the new "convenience fee" covers its ability to "continue to support these bill payment options". Off course they are the ones that are pushing these options because they said it was more costly to continue to provide regular mailed payments or payments through reps. 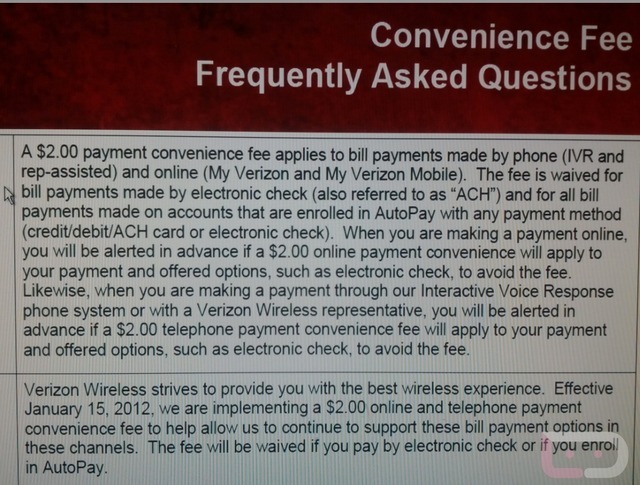 So which is it Verizon, is it now more costly for you guys to process electronic payments than it is to process the old fashioned handwritten paper checks or to staff stores with more personnel to handle payments? Hopefully Verizon changes its mind before the change goes into effect, purportedly on January 15th. Google Music is currently running a blowout sale offering up “millions” of songs for $0.49 per track or $4.99 per album and no these aren't your mommas favorites. They are offering a ton of newer stuff as well as some good old favorites. Just from the main list I see some of today's top tracks from Eminem, Lady GaGa, Toby Keith, Coldplay, J-Lo and NIN. There are also some oldies but goodies like Frank Sinatra, Stevie Wonder and the Rolling Stones. The music is all DRM-free and can be used on any device including Apple devices (iPod, iPad, etc). To download the music, you can either do a browser download (limited to 2 times) or use Google Music Manager. The nice thing is that it appears the music will always be available in your Google Music Library and you can stream it anytime and/or download it to your device. Google says this is a limited time offer but there is no word on when it will end. For more details checkout the Google Music section of the Android Market. Today IBM released the company's sixth annual “IBM Five in Five" (#ibm5in5) – a list of predictions of tech based products or enhancements that are going to change our lives in the next five years. This year's list includes renewable energy for the homes user, the end of passwords through the proliferation of biometric identification to authenticate your identity, effective mind control over machines, the elimination of the digital divide and the end of spam. The next Five in Five is based on market and societal trends as well as emerging technologies from IBM’s labs around the world that can make these transformations possible. IBM predicts: People power will come to life. "Advances in renewable energy technology will allow individuals to collect this kinetic energy, which now goes to waste, and use it to help power our homes, workplaces and cities." IBM predicts: You will never need a password again. "Each person has a unique biological identity and behind all that is data. Biometric data – facial definitions, retinol scans and voice files – will be composited through software to build your DNA unique online password." Much of this is already starting to become more mainstay. Everything from smartphone to tablets to Windows based PC are seeing more and more integration of facial recognition software. IBM predicts: Mind reading is no longer science fiction. "IBM scientists are researching how to link your brain to your devices, such as a computer or a smartphone. If you just need to think about calling someone, it happens. Or you can control the cursor on a computer screen just by thinking about where you want to move it." Researchers have been working on these devices for year and already found ways for us to control things like artificial limbs, pointer devices and some do some basic functions. Headsets exist that can monitor brain activity and map the areas associated with basic tasks. The technology is still in its infancy but they have made great strides over the past few years. Its not unreasonable to think we'll see even greater strides in the short term future. IBM predicts: The digital divide will cease to exist. Low-income, rural and some minority groups continue to lag significantly behind other U.S. groups in broadband adoption, according to a new report from the U.S. National Telecommunications and Information Administration (NTIA). In other areas of the world large groups of people are cut off from access to our ever increasingly digital world. IBM predicts that as the prices of mobile devices comes down we will see less and less of a divide between those that are connected and those that aren't. IBM predicts: Junk mail will become priority mail. IBM is not specifically predicting that we will no longer see spam mail. Rather they feel as though that mail will now be more targeted. This seem really counter intuitive to me. Valve has officially kicked off their holiday season launching the Steam Holiday Sale. Not only are there some great sales prices but gamers will get their chance to complete tasks to earn free games and other free rewards. The sale will feature different “highlights” every day with different games going on sale. Today’s big things are Portal 2 for ~$7, Metro 2033 for $4.99 and Fable III for $12.49, among other stuff. In addition to the highlighted games, which feature the best discounts, almost every other game Steam offers has been added to the sale with at least a minor discounted price. Here is a complete list of titles. that Steam has made available. There are also a bunch of game packs featuring all the titles from select publishers. If that doesn't get the gaming juices flowing Steam is also giving away free games. Those free games are earned by completing a series of in-game objectives which cycle everyday until January 1st. Completing each objective either gets you a freebie off the "Great Gift Pile" or a lump of coal, seven of which can also be traded in for an actual gift. Alternatively, you could save your lumps up -- each counts as an entry into a Steam sweepstakes, the grand prize for which is every game on Steam ever. Seriously, the prize is every game listed on Steam since it went public. Now for the bad new. Due to heavy traffic the site has been very slow all day. So be prepared for some issue with browsing and checking out! We all know the pains of being stuck in the airport over the holiday season. All you want to do is get home to see your family but the weather has other plans. Well the team over at Skype is making it a bit easier to stay connected with your loved ones this year. Go to Tools > Options... > Skype WiFi Access. Tick Enable Skype WiFi Access. Connect to a WiFi public hotspot. In the Skype menu bar, click Tools > Skype WiFi Access. Follow the instructions on the screen to select and join a compatible public WiFi network. *Note: The offer is good from Dec. 21-27, and it lets you make voice and video calls to computers for free and to landlines and mobile phones using Skype credit. It works on PCs, Macs, and iOS devices. You must have the latest version of Skype to take advantage of the freebie. For more information on free Skype WiFi, please visit http://blogs.skype.com/en/2011/12/skypeholidaywifi.html. Every year some of our favorite sites release a list of their top searches, hashtags or mentions. Giving us a glance at what has been the most popular items through the year. Most of the time we see celebrities, hot news topics or pop-culture items topping the list. This year however we are surprised to see a few geeky items perched in the top ten for most sites. This is the 11th year that Google has published the Google Zeitgeist list. With Zeitgeist, Google looks at the most popular and the fastest rising terms—the terms with the highest growth in 2011—in many categories across many countries around the world. This year they've incorporated several changes including improved visualizations, added detailed infographics and even adding in a few extra lists featuring sports, entertainment, people and news. For us geeks Google also released a list of the fastest growing searches for consumer electronics. Amazon's Kindle Fire topped that list, followed by Apple's iPhone 4s, the Sidekick 4g Android phone, the HP Touchpad and the Android app Spb Shell 3D. This year Yahoo has also expanded their list. Not only does it included the top 10 search terms but also some culture items which includes top scandals, heroic acts and extreme weather. Wonder what people are talking about on your favorite social media sites? On Facebook the death of Osama bin Laden was the most talked about topic in 2011, with nearly 10 percent of English-speaking Facebookers posting about it on May 1. Facebook refers to the tracking of these trends as "memology," which they have detailed in an extensive blog post. Facebook says, "Memology takes the pulse of this global community by comparing this year's status updates to last year's, unearthing the most popular topics and cultural trends - or memes - emerging on Facebook. Whether it's hmu, lms or tbh, each year brings a new set of three letter acronyms that go viral." For you tweeters out there Twitter has released a list of the top hashtags of 2011. The post is part of the sites year in review series which highlights the leading topics and hashtags of the year. "The list of Hot Topics and Top Hashtags charts the keywords that rose the fastest in conversation over the course of the year," Twitter wrote in a blog post. "This reveals what grabbed our attention most dramatically in 2011, and which events, inventions, changes, and ideas made the deepest impression on us." Popular question and answer site Ask.com released its list of top 10 questions for 2011 by category. Kim Kardashian: Was Kim Kardashian's wedding fake? Justin Bieber: Is Justin Bieber going to be a dad? Lady Gaga: Are Lady Gaga's face implants real? Beyonce: Did Beyonce fake a baby bump? Kate Middleton: Who made Kate Middleton's wedding dress? Ashton Kutcher: Did Ashton cheat? Michael Jackson: Was Michael Jackson murdered? Selena Gomez: Is Selena Gomez pregnant? Lindsay Lohan: Is Lindsay Lohan going to jail? Charlie Sheen: What happened to Charlie Sheen's teeth? Earthquake in Japan: How big was the earthquake in Japan? Hurricane Irene: What caused Hurricane Irene? Steve Jobs: How much was Steve Jobs worth? Royal Wedding: What did William whisper to Kate on the balcony? Occupy Wall Street: Who started Occupy Wall Street? iPhone: When will Apple release the iPhone 5? Osama Bin Laden: Who killed Bin Laden? Casey Anthony: Where is Casey Anthony hiding? 10th Anniversary of September 11: What is happening on the 10th anniversary of 9/11? Amy Winehouse: How did Amy Winehouse die? Barack Obama: Will Obama get re-elected? Mitt Romney: What is Mitt Romney's religion? Sarah Palin: Is Sarah Palin running for president? Michele Bachmann: Is Michele Bachmann crazy? Anthony Weiner: Where can I find Anthony Weiner's Twitter pics? Arnold Schwarzenegger: Who was Arnold's mistress? Gay Marriage: Which states allow gay marriage? Withdrawl from Iraq: When will the troops come home? Iowa Caucus: When is the Iowa caucus? Muammar Ghadafi: Who will lead Libya after Ghadafi? The leading price comparison site in the UK, Moneysupermarket.com, has released the first ever iPhone app to be centered on car insurance. The Moneysupermarket car insurance app gives customers the chance to compare and even purchase car insurance premiums on their smartphone. Car insurance comparison sites like Moneysupermarket are always looking for ways to improve their service for their customers and this app is set to do just that. Drivers can save an average of £375 on their car insurance in the palm of their hand in a matter of minutes. All that is required of drivers is a couple of minutes to enter details about their current circumstances and, if necessary, their current insurance policy. The app will then scour the internet for the best deals available at that time and deliver them straight to the handset so the driver can pick and choose which one is best for them. Julie Fisher, car insurance expert at MoneySupermarket.com, commented: “The cost of running a car has been increasing markedly over the last few years, with petrol prices on the up and car insurance a yearly necessity for all drivers. People are naturally keen to take action, and shop around to switch to the best possible car insurance deal. We’ve previously reviewed several Linksys routers including the predecessor to the E4200v2 the Linksys E4200. If you've read that review you'll know we love the updated looks and styling of the Linksys line. You'll also notice that we loved the performance numbers the first generation E4200 reached. So obviously we were excited to get our hands on the new E4200v2. Just to be clear I am only providing a basic review on the features. I do not have the tools available at this time to provide info about testing real-life performance of the router or to test the maximum theoretical speeds! On the outside nothing really changes. You get the same sleek design we saw in the first E4200. They continue with many of the features we liked like the internal antenna design and optional lights. Yes I mention the lighting again only because I love having the ability to get rid of those annoying flashes! Sitting side by side the two routers look almost identical. One thing most users will notice that is new is the absence of the big bulky power pack that most users disliked. After several complaints Cisco opted to change to more traditional power adapter in both the newer E4200 and the E4200v2. It's really the new chips and what we find on the inside that counts! According to the information I've found the Linksys E4200 uses Broadcom SoC BCM4718 chips that supported 2 streams @ 300 mbits/s on the 2.4ghz frequency. The new E4200v2 uses a new Marvell chipset that supports 3 streams @ 450 mbit/s on the 2.4ghz frequency. The new chips offer faster overall speeds, support for IPV6, WAN L2TP, and PPTP protocols. Cisco also updated the virtual USB feature making it easier to add printers, storage and other USB devices to the network which with the added 1.2 GHz processor allows users to experience faster download speeds from their USB connected storage device. Included in all Linksys E-Series routers is Cisco Connect software, which provides for simple setup and network management for Macs and PCs. For smartphone users you can also use the new Cisco Connect Express mobile App. The app allows quick access to common Cisco Connect features and your network information. 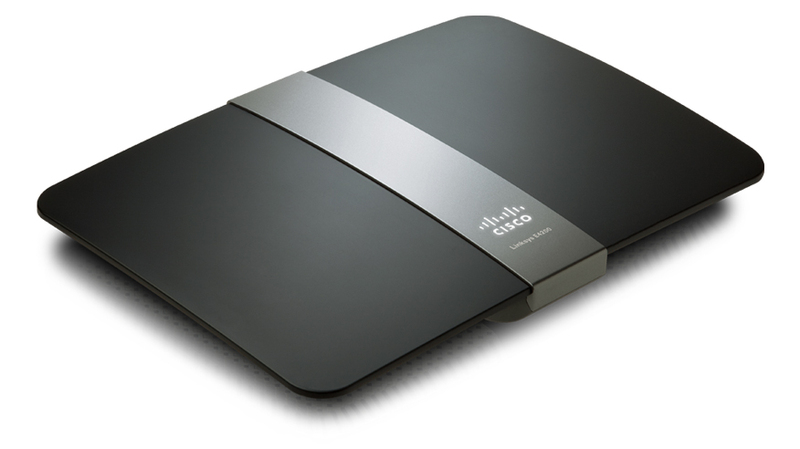 Currently there are a few 450Mbps wireless routers on the market, all boasting to be the fastest. The truth is most users won't be able to take advantage of those speeds, making the argument a pretty moot point. Wireless users need a 450Mbps client adapter in order to realize the promised 450Mbps throughput speeds. The problem is most computers with integrated wireless are only rated at 150Mbps and most adapters available on the market are only rated at 300Mbps. Sadly this means that when connecting to a 450Mbps router, a users computer's connection speed will be bottlenecked at the fastest theoretical rate their adapter provides. In layman's terms you are only going to get as much out of this router as your computer can support. If your wireless adapter is only capable of 150Mbps you aren't going to get anywhere near the fastest possible speed. Unfortunately we did not have a high speed 450Mbps adapter available during our review to see if the Linksys E4200v2 actually achieved those speeds. Conclusion - is it worth the upgrade? You might be asking yourself if it will actually be worth upgrading or not. Well it would be hard to give you an honest answer one way or the other. If you are currently running an older router or something slower then yes it may be. If you are already running the E4200 or another similar high performance router then probably not. If, like many, you just want the latest, greatest, best performing router on the market. Then by all means this might just be it! In my personal opinion the changes Cisco made are nice and I did see some improvement. I didn't however see anything that would warrant an upgrade from anything I'm using now. The lack of availability of 450Mbps adapters really stifles the desire to spend the extra cash.Hopefully with the influx of faster routers well soon see more high speed adapters hitting the market. Once that happens the E4200v2 will definitely be a contender and likely make most people's wish list. 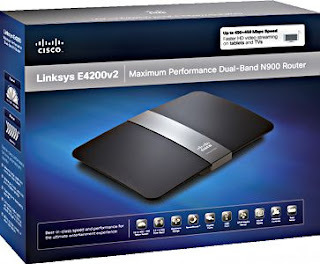 For those of you wanting to get your hands on the Linksys E4200v2 it has an MSRP of $199 and can be bought at Newegg.com, MacMall or Amazon.com. The Federal Trade Commission (FTC) has begun sending out reimbursement checks to more than 300,000 people scammed by a rogue antivirus software (also know as scareware) which held a victims computer hostage demanding payment for bogus security software to alleviate the symptoms. The payments come as the result of lawsuits and a subsequent $8 million settlement reached between the agency and several vendors of the malicious software. Several companies agreed to surrender the more than $8 million total in ill-gotten gains to settle FTC charges that they used deceptive ads to trick consumers into thinking their computers were infected with viruses or spyware, and then sold them software programs such as Winfixer, Drive Cleaner, and XP Antivirus to "fix" their non-existent problem. Will the software often charged users more than $100 the average amount of the checks will be $20, however the FTC has said the exact amounts will be based on the amount of individual loss. Approximately 320,000 checks will be mailed by the FTC's settlement administrator, Epiq Systems. Consumers who believe they are entitled to a refund or have questions may call the settlement administrator toll free at 1-877-853-3541 or visit www.FTC.gov/refunds for more information. HP has announced that webOS will live one as the company plans to "contribute" its fledgling operating system to the open source community. Which means the software, along with the companion ENYO application framework, will be available under an open source license to anyone who wants to use and further develop the mobile OS. What does it mean to make webOS “open source”? In short the term “open source” refers to a form of software licensing where the source code is available for use and improvement by anyone choosing to download and develop it. Developers can essentially modify the original software as they see fit and distribute it as their own. Developers typically share their enhancements with the rest of the community resulting in a product refined through community collaboration. An example of popular open source software is the Firefox web browser, Linux, Open Office and the popular image editor Gimp. What does this mean for the Touchpad? This is really good news for you Touchpad owners. It means that users of webOS devices will not only continue to receive software improvements and updates from HP but it also means that developers might work on major improvements to the software themselves. It also means that we may see the software support more devices in the future. HP said that it expects that making webOS open source will accelerate the development of the webOS platform and application ecosystem, which will benefit current and future users. The companyplans to remain active in the development and support of webOS. Will wee see HP making webOS devices again or will we see more webOS supported devices? Hp has not formally announced any plans to manufacture more devices or revamp the Touchpad project. However, HP's new CEO Meg Whitman was asked by The Verge about new webOS-based hardware. Her answer: "The answer to that is yes but what I can't tell you is whether that will be in 2012 or not. But we will use webOS in new hardware, but it's just going to take us a little longer to reorganize the team in a quite different direction than we've been taking it in the past." HP's talked about putting webOS in laptops and printers, but so far we've only really seen the OS shine in tablets and smartphones. HP's answer continued, "In the near term what I would imagine - and this could change, in full disclosure - is I would think tablets, I do not believe we will be in the smartphone business again." The company says that it believes that as webOS gains traction as an open source alternative you could see webOS on several different types of devices by any number of vendors. Personally I think this is great news. I thought HP had a major player with webOS and thought some of the functions and features built into the operating system were great. This is also a big plus to all the consumers out there that jumped on the Touchpad fire sale. Open sourcing the project means that we could see developers supporting the software and hopefully adding in some extra feature support like the Android Market. This makes me a bit more excited about the reports that HP will be selling more Touchpads over the weekend. According to TechCrunch HP has sent out an internal email stating they will offer more of the tablets starting Sunday, December 11 at 6:00 p.m. Central time. At that time 16GB and 32GB Touchpads will be available via HP’s ebay store (under 'laptops'). However, there is one catch: They're not brand new devices. Instead, HP is selling refurbs to those willing to shell out either $99 or $149 for the tablet. Lately there has been a lot of buzz about the Carrier IQ smartphone application calling it everything from a rootkit to a keylogger or spyware and even an app capable of tracking a phones every movement. Today new technical details about Carrier IQ have emerged from a few security researchers that refute the claims which were originally brought by analysis Trevor Eckhart. Eckhart published his work several weeks ago in his blog and a 17-minute YouTube video. His conclusions, which purport to show that the Carrier IQ code is a rootkit and keylogger, triggered a firestorm of accusations, a least one class actions lawsuit (the complaint pdf) and numerous calls by U.S. senators and congressmen for investigations. Following his reports Carrier IQ, as well as several smartphone manufactures and carriers went on the defensive vehemently denying the claims that the application was malicious in nature. This prompted many security researchers to spring to action to get to the bottom of things. Security consultant Dan Rosenberg, who this week published the details of his analysis and Rebecca Bace, a long-time security researcher, and CEO of Infidel have both had the chance to review the inner workings of the applications sources and both have reached the same conclusion. The Carrier IQ software "cannot" record SMS text messages, Web page contents or email contents; and it "cannot" record text keystrokes (though it does record which buttons are pressed in the dialer app when making a phone call). "I am using the word 'cannot' literally, as in 'is not capable of, in the present tense, without being altered by modifying its code and installing a new version on the phone,'" Rosenberg writes. "It seems obvious to me that CarrierIQ could be modified in the future to perform nefarious actions: so could any application on your phone." "I'm accustomed to being a professional skeptic, but so far everything I've seen is consistent with the assertions made by the [CIQ] engineering and development team -- they provide only that status information pursuant to diagnosing issues with the cellphone, and furthermore take pains to limit access to that information to the carriers controlling the solution," Bace says. So what exactly is Carrier IQ? The carriers have insisted that the software is being used only for network diagnostics purposes while the handset makers have claimed that they integrated Carrier IQ in their devices only because the carriers specifically asked them to. The analysis from the security researchers seems to back those claims. Apparently the Carrier IQ program can receive limited information from the OS such as specific measurements and changes in state on the device, and in some cases location data. Running a carrier-specific "profile" that identifies the subset of metrics the carrier wants, Carrier IQ then sends those metrics, as encoded data over SSL, to the server for analysis. "On receiving a submitted metric, CIQ evaluates whether that metric is 'interesting' based on the current profile installed on the device," Rosenberg writes. "Profiles dictate whether or not a piece of information is relevant for assessing a particular aspect of phone service, such as reception or battery usage. "Note that the CarrierIQ application simply receives these metrics, collects them, and eventually uploads them to be analyzed by carriers [using the CIQ server application]," Roseberg notes. "All of the code responsible for determining which metrics are submitted to CIQ for processing is integrated into the phone's application stack by the handset manufacturers themselves." network state changes, sending an "internal identifier"
SMS message received or sent, which includes message length, phone, number, status, but no text from the body of the message. So what does this all mean to me and my privacy? To be totally honest at this time know one really knows for sure. Unfortunately, Carrier IQ and its clients aren't providing any explicit information for full disclosure about the information it tracks, the use of the data, how its stored or any real details. Until these questions are answered there remains a very real concern for individual privacy. As of present time, nobody is handling this quite well. If the researchers are correct and the app only collected limited data then its really not as big a deal as it is being made out to be. If however, they aren't then it could be a real concern. For those of you that are staunch privacy buffs and absolutely want it gone there is hope. There are several applications out there for Android phones that will remove the application in its entirety. As tablets have gained more and more popularity and users are wanting more functionality out of their devices manufactures have been adding more accessories than ever. One of the more popular add-ons is a Bluetooth enabled keyboard that allows for a more traditional typing experience. Earlier this year the Azend Group released one such device. The new AVS GEAR ZIPPY BT-500 Bluetooth Compact Wireless Keyboard. Over the past couple of weeks we've had one of these little guys in the office putting it through the normal paces. This keyboard is super compact and very portable. Measuring just 0.93- by 8.86- by 3.9-inches it is physically smaller than most tablets out there. Design wise it looks sleek with just the minimal keys. The overall construction feels quite durable, you don't get that cheap feel you might expect from something this small and portable. Right off the bat it feels like it would make a nice companion to some of the smaller tablets and smartphones out there. I was only able to test it with a Bluetooth dongle connected to my main PC. I tried syncing it to my HTC Freestyle and while it would show the keyboard I could never get the pin codes to sync. Before buying (if for the purpose of using it with your smartphone), I would check to make sure your device supports the HID profile that the BT-500 uses. Since the keyboard connects wirelessly via Bluetooth 2.0, users should be able to sync with a wide array of devices. With the option of setting up multiple devices you be to pair a single keyboard to things like the iPad, iPhone, some Android based smartphones and tablets as well as gaming consoles like the PlayStation 3 and Bluetooth-enabled PC and Mac computers. Connectivity seemed to be fairly reasonable. As mentioned I couldn't sync with my phone but setting the keyboard up via my computer went well. I was limited in my testing range, but lets face it unless you are using this for an HTPC range won't be an issue. The tactile response of the keys was superb as well the key rate. I was a bit disappointed that there were no lights to indicate when Caps or Num Lock was enabled. I was however happy to see the addition of keyboard feet to adjust the typing profile. Not a big deal for most but having a better typing angle helped me. Having used several compact keyboards I'll say this has to be one of the smallest I've ever used and with that one of the most difficult to get use to. Users of netbooks and tablets might get the feel of it a bit quicker than I did but for most it will take some time. After a few days of use, and a bit of getting use to, this little guy won me over. I can definitely say it will be welcome addition to my backpack for those times when I need the full functionality of a keyboard. If like most geeks out there you own multiple devices and are looking for a quick easy all-in-one keyboard solution its my opinion the Zippy BT-500 is something you should be looking at. 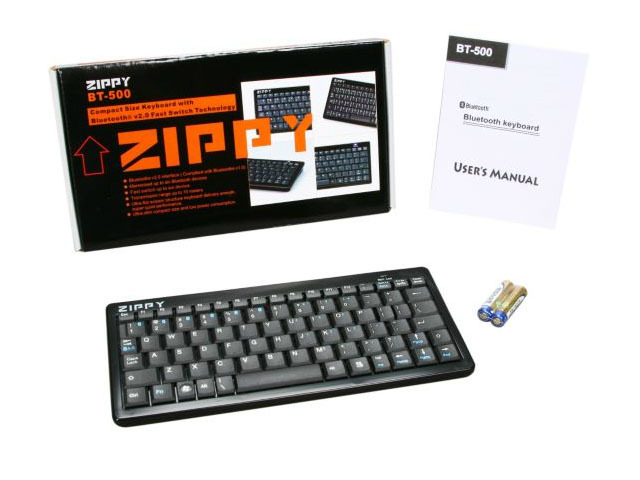 The ZIPPY BT-500 is available now at Newegg.com and Amazon.com with an MSRP of $49.99. Update: Google has offered "A Closer Look at 10 Billion Downloads " with an overall look at downloads by country and categories. 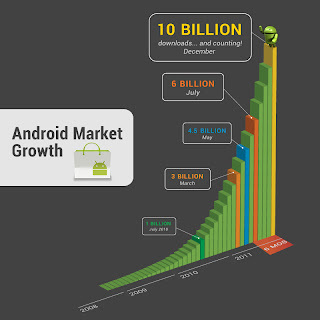 Over the past weekend Google's Android Market reached the major milestone of 10 billion, yes billion with a "b", app downloads. To celebrate, Google has announced they will partner with several Android developers to offer 10-cent apps over the next 10 days. Starting today Google will sell 10 apps for the 10-cent price. The initial offer includes: Asphalt 6 HD, Color & Draw for Kids, Endomondo Sports Tracker Pro, Fieldrunners HD, Great Little War Game, Minecraft, Paper Camera, Sketchbook Mobile, Soundhound Infinity and SwiftKey X.
Android downloads have grown from 1 billion total in July 2010 to 10 billion seventeen months later. "One billion is a pretty big number by any measurement," Eric Chu, director of the Android Ecosystem, said in a blog post. "However, when it's describing the speed at which something is growing, it's simply amazing. This past weekend, thanks to Android users around the world, Android Market exceeded 10 billion app downloads—with a growth rate of one billion app downloads per month. We can't wait to see where this accelerating growth takes us in 2012." 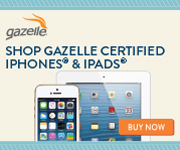 The offer fails a bit in comparison to that of Apple's, when it reached the same milestone. The company awarded a $10,000 iTunes gift card to England's Gail Davis for downloading the 10 billionth app. However, its a nice gesture, for both consumers and developers alike.